A room full of entrepreneurially minded data scientists and analysts, clinicians, designers, and software engineers spending 3 days and 3 nights side by side developing new product ideas for patients, front line staff and the wider NHS - sound good? Product Forge is running a competitive healthcare hackathon at CodeBase in Edinburgh from Thursday 19th January until Sunday 22nd. Regardless of whether you already have an idea that you would like to prototype, or don’t and would just like to make new connections, we invite you to come along and meet talented people with a shared interest in the future of health care. Participants form small cross-functional teams to work on a product prototype with support from industry experts in the NHS and the wider technology community. We will have access to health data released by the NHS Information Services Division, as well as scientific medical imaging data. Use this opportunity to develop your career, gain new skills, network with professionals, meet potential employers or even kick-start your own company! All our participants receive mentoring, 10 free meals and 24 hour access to the venue, and the top ranking teams can access support to develop their concept further. Register now for an unforgettable adventure! Scott is a statistician by background with 20 years experience in the health service and is currently an Associate Director with NHS National Services Scotland (NSS), leading its Data Management & Strategic Development function, with responsibility for the majority (approx 100) of health related data sets within NHS Scotland. He is also the Head of Profession for Statistics and has a leadership responsibility in ensuring the UK Statistics Code of Practice is implemented and adhered to across NHS NSS. Lorna is Associate Director of Strategy and the Business Development Service at Public Health and Intelligence within National Services Scotland, providing analysis to support the transformation of information into intelligence. Tammy is an enabler, educator, connector and facilitator with a focus on the innovation process and innovative outcomes for health. Since becoming Head of Innovation at the NSS, she has worked on a variety of projects aimed at improving healthcare innovation in Scotland. She currently serves as the Director of Public Sector Transformation at Pentacle the Virtual Business School. Damian Sefton is a front end web developer with NSS. Joining NSS as an admin assistant he took an interest in web design and made it into his career. Damian has been supporting Andy and Ken in their efforts to modernise how NSS publishes data. Specialist Registrar at Western General Hospital, Clinical Lecturer at University of Edinburgh, Director of eoSurgical Ltd.
Mark is a specialist registrar in neurosurgery at the Western General Hospital and a clinical lecturer at the University of Edinburgh. He completed a PhD exploring the interface between neuronal networks and silicon semiconductor microelectronics. With two other surgeons, he is director of eosurgical.com. This surgeon-led start-up innovates and manufactures simulation hardware and software focused on improving minimally invasive surgical skills. Anna is a Policy and Development Officer at the Carnegie UK Trust. She works within their Digital Futures and Fulfilling Work themes, focusing around digital inclusion and data privacy. Specifically Anna has been leading the day-to-day management of the #NotWithoutMe programme, to highlight the digital needs of vulnerable young people and challenge the assumption that all young people are ‘digital natives’. Prior to joining the Trust, Anna worked within the commercial and social enterprise sector. Tom has worked at Shelter Scotland for nearly 12 years, first as part of Rough Sleeper initiative where he worked across the hostels and drop-ins of Glasgow advising and advocating for people who were sleeping on the streets. Tom now works as a writer in the Digital team, where he makes sure that the content on Shelter Scotland Get advice pages is up-to-date and he has an active interest in the user journeys and usability of websites. Keith works on digital team with Shelter Scotland overseeing projects, developing and maintaining the social media channels and handling the electronic communication. Jacek is a skilled full-stack developer with specific experience in scalable software solutions. He has worked on the USMART platform since it's early days. Jacek is pushing the use of the latest industry standards and focuses on engaging the growing USMART Clan of developers and users. Silvia is an Informatics graduate whose interests include big data, emerging technologies, and user experience. She is a winner of the Smart Campus Community Contest and co-author of a big data-related scientific paper published in the Journal for Natural Language Engineering. She is currently a full-stack software engineer, passionate about making software functional, secure, and usable. Amy is a designer at Everyone, a digital agency based in Glasgow. She is passionate about applying creative thinking to problem solving and producing innovative design experiences. Jamie is the founder of Edinburgh-based business consultancy Telaco, as well as a Saltire Fellow in Entrepreneurship. He is an an entrepreneurial leader with a focus on strategy, technology and communications. Scott thrives on embedding with organisations and globally distributed teams that are on a journey of change. His passion is leading people to improve organisations by using Agile ideas and re-organising for success in a challenging future. He works in new areas of software delivery and organisational redesign. Ben is a designer and developer, and co-founded design and web studio Kin. He also built DeviceLab, for the developer communities of Edinburgh — and beyond — to have better access to test their apps and web experiences on real devices. Steve is a Product & Service Designer with a passion for all things creative. He is part of Young Scot’s co-design team, supporting young people in Scotland to realise, design and drive forward the changes they want to see to the services, products and policies that affect them. Damian is a Senior UX designer and consultant who has been involved in working with clients on commercial, financial and government projects. He is an advocate of the design thinking process for problem solving, and rapid prototyping and testing for validation. Darren’s consultancy experience covers a wide variety of sectors locally and internationally, including health (NHS Ayrshire and Arran, NHS Borders, NHS24) and local government. He has extensive experience in collaborating with multiple stakeholders to deliver to shared goals. Martin is a technical architect who specialises in data modelling and the data aspects of architecture. He comes from a business analysis background with 15 years' experience of supporting IT projects in Government and commercial organisations. He has related interests in coding, GIS and enterprise architecture. Graeme has created and built start-ups ranging from white label social network platforms to mobile gaming. He has raised millions of pounds in venture capital funding, whilst bringing new tech ideas to life and delivering them to a global market. Graeme has won several awards, including the EDGE award and Entrepreneurial Spark’s High Impact award. As a consulting senior manager, Graeme helps to enable large scale enterprises realise their Digital Transformation strategies. Michael is a clinician software developer and junior medical doctor working in A&E. He graduated from the University of Edinburgh in 2013 and completed his Foundation Training at Guy’s and St Thomas’ Hospitals. Whilst working on the Robotic Urology team, he was bitten by the “health tech bug” and took time out to complete a software development bootcamp. He is now exploring ways to use technology to solve some of the big problems in healthcare. 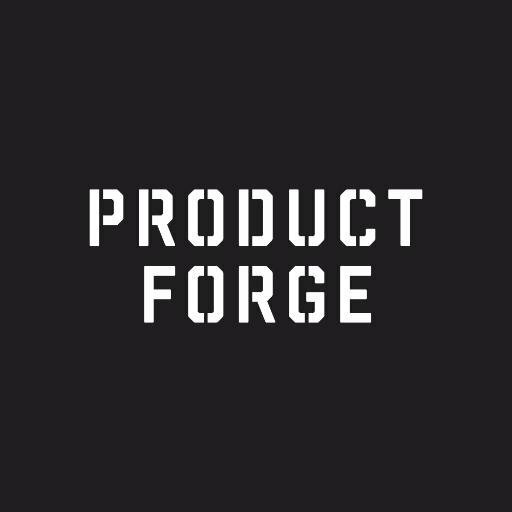 I joined Product Forge in September 2016 as PR Assistant. Last year I finished my undergraduate PR and Media degree at Queen Margaret University and if all goes well, I will be graduating from QMU again in July 2017, with MSc in Strategic Communication and Public Relations. I have previously worked as a digital marketing assistant with startups in Slovakia as well as in Scotland.